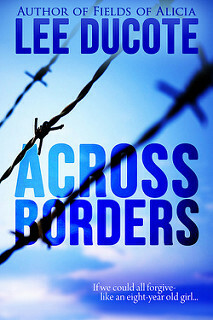 Today is my stop during the blog tour for Across Borders by Lee DuCote. Across Borders is a standalone romance book. 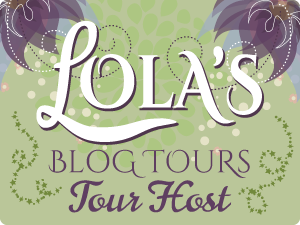 This blog tour is organized by Lola's Blog Tours and runs from 28 June till 18 July. You can see the tour schedule here. Lawson never expected anything to come between his dedication with the Border Patrol and his brotherhood with Sweeny until he meets local pharmacy owner, Lia Gonzales. Against her father's wishes Lia continues to see Lawson not realizing the inevitable consequences. A strong warm breeze blew dust past a patrol truck as it stopped shy of the white wooden frame house. With the heat of the summer, the grass in the yard had burned leaving only a dry vegetation that was more vulnerable to fire than kindling. Lawson sat behind the wheel of the truck stopped in the dirt and gravel drive that led to the house. The picket railing that lined the porch was half painted, a project he had let go only a few days ago. Lawson’s hands gripped the steering wheel, turning his knuckles white before he let go, allowing them to drop to his lap. A border patrol badge hanging from his rearview mirror threw a spark of sunlight in his eyes, causing him to take a deep breath as he glanced down at a picture of him and his best friend that was shoved in the dash, hiding part of his gauges. Another strong wind blew against his truck, causing a cloud of dust to form from his driveway. It was a tell-tale sign that fall was soon approaching, not that the temperatures dropped in Presidio, Texas, but a sure sign of high school football and the Friday night lights that came with the favorite sport—something Lawson enjoyed doing on the weekends, watching West Texas Football at its finest, and this year the Blue Devils were predicted to go deep into the playoffs. Lawson Caine was a fifth-generation lawman who had moved to the small town of Presidio after joining the United States Border Patrol, a dream he had since his high school days. A border patrol agent had visited and made a presentation on the agency and the training that came with the job. Lawson was hooked. The Caine family had lived in Paris, Texas, since the early 1800s, and Lawson was the great-great-grandson of the famous Bill Caine, a U.S. Deputy Marshal. Bill was commissioned in the Southern District of Indian territory in Paris, Texas. He was shot and killed in 1893 while attempting to arrest Bud English, a prominent stockman. Caine was riding with a posse tracking a gang of horse thieves when a gunfight broke out, leaving him lying dead beside his trusted horse. Years later, one of the posse members recognized Bud English in the streets of Ardmore, Oklahoma, and had him arrested, nine years after the death of Bill. Since then, the Caine family had gained the respect from the townspeople of Paris and become the trusted lawmen that followed their reputation. Lawson’s dad and two uncles all worked for the sheriff department and headed up the mounted patrol. Dave, Lawson’s father, was a talented calf roper and had the buckles and trophy saddles to show for it. Lawson, however, had football fever and lived every waking moment with a football in hand. He knew that his football career would end with his high school days, and after walking off the field his senior year, he placed his attention on the US Border Patrol. Lawson found himself in Artesia, New Mexico, at the Federal Law Enforcement Training Center 14 months after graduation, getting the life kicked out of him at Border Patrol training. He thought two-a-days football practice in the summer was tough, but it was not even close to this. Still, with a strong background in Spanish and being in the best shape of his life, he managed the 19 weeks of hell and was assigned to the Marfa Sector, now the Big Bend Sector, with the United States Border Patrol. Cap and Lawson hit it off immediately, both having ties to Paris, Texas. Cap was a distant relative of the famous lawman Buck Garrett, the nephew of the infamous Pat Garrett who killed Billy the Kid. Buck Garrett was born in Tennessee and had moved his family to Paris in the late 1800s with his two brothers. Cap was often given young rookies fresh out of the academy to train them up and send them to other stations and sectors, but Lawson and a few other young men had decided to stay with Cap. They loved his non-managing attitude and slow pace to life. His theory was there was no rush to get to the grave. Now, eight years after moving to West Texas to join the agency, Lawson was sitting in his driveway in Presidio, Texas, wondering how he got to the stage of life he was now sitting in. He took another deep breath and reflected back to the last two years. Well, I am a husband and father. We always have a house full of teens and college students, mostly Young Life kids. I love the outdoors, hiking, kayaking, stand up paddling, fishing, you know "man stuff" but I'm a sucker for chick flicks. I wrote Fields of Alicia, Waterproof, Across Borders, and the series Micah and have several other novels finished and in the making. 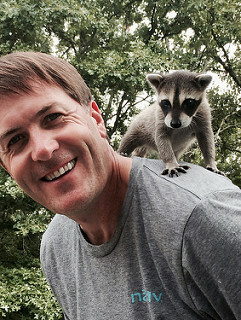 And yes I am a raccoon lover, check out Tucker on my social media. 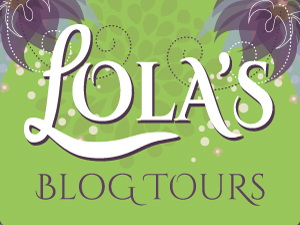 There is a tour wide giveaway for the blog tour of Across Borders. One winner will win a 25$ amazon gift card.